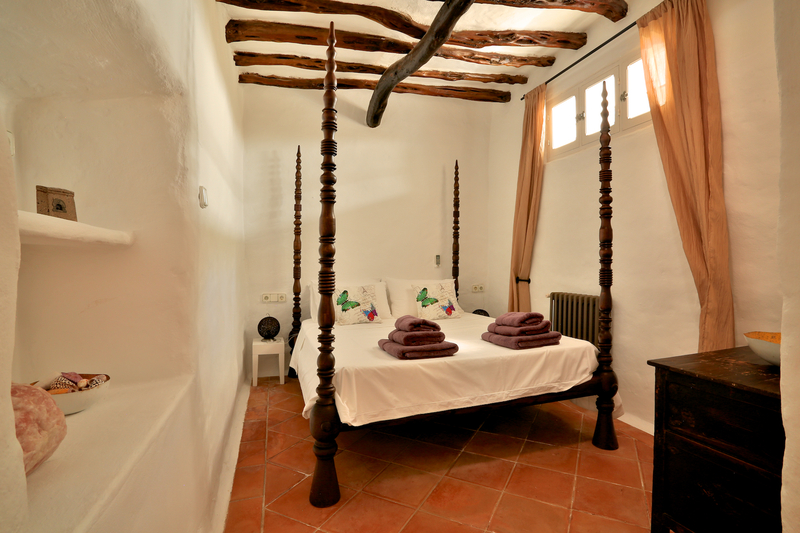 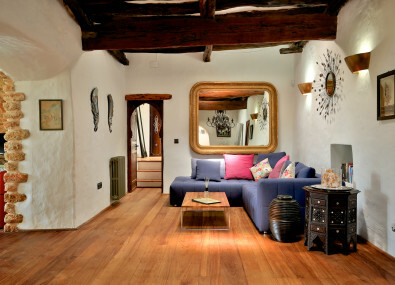 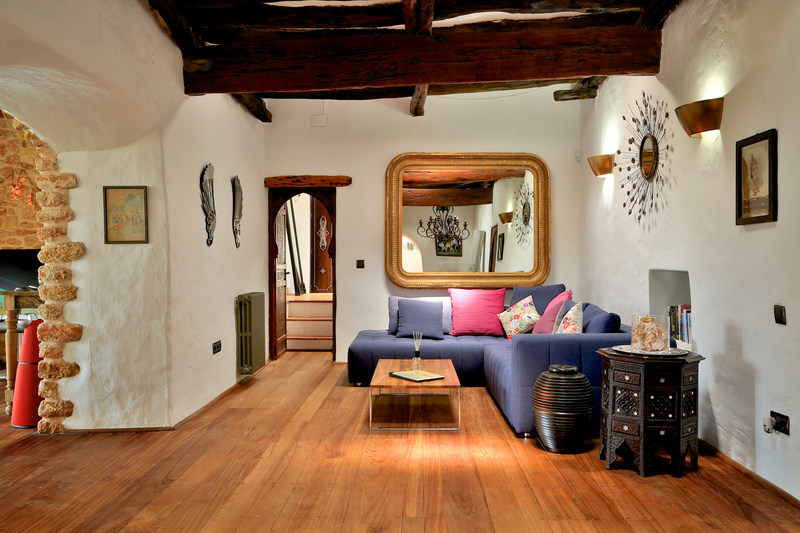 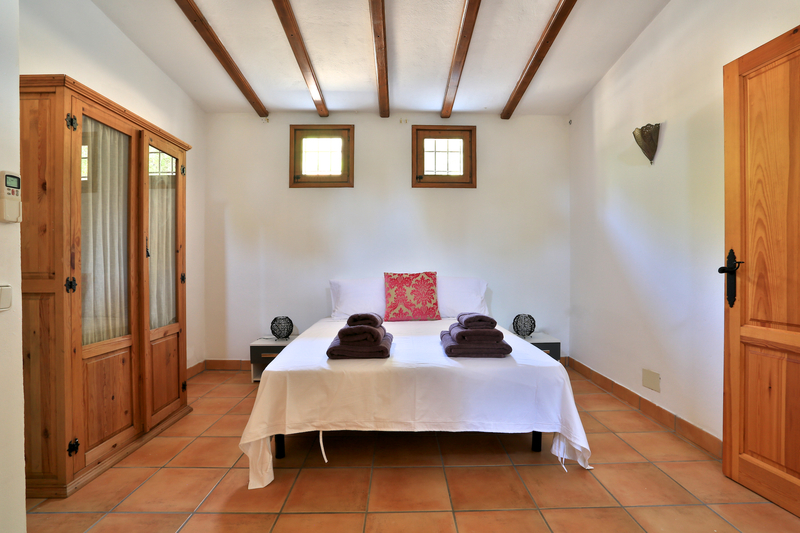 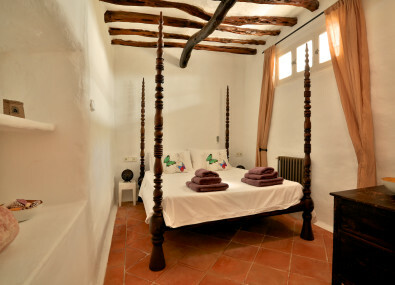 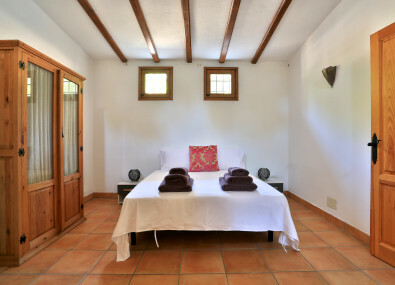 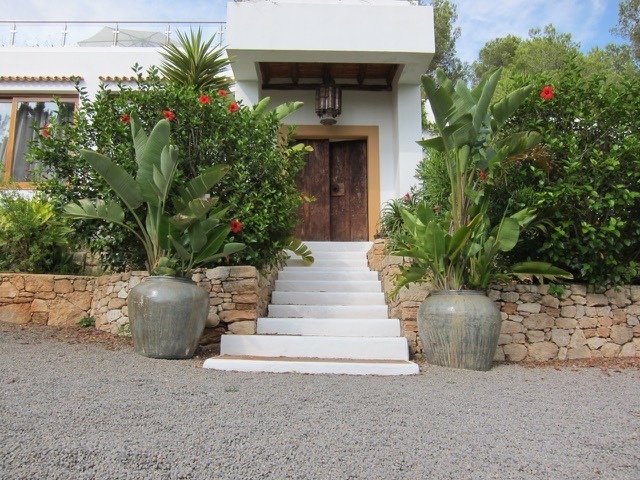 La Barda , a reformed finca located less than one kilometer from Santa Eularia’s busy centre and stunning beach. 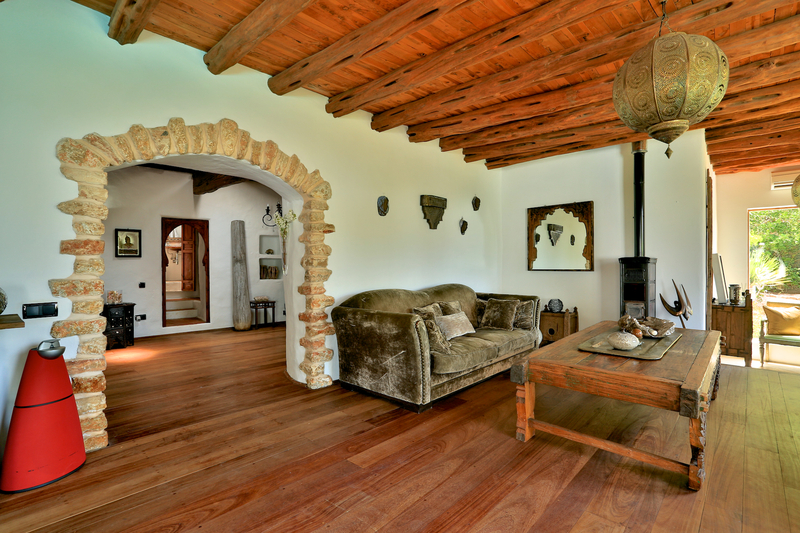 The Villa is positioned in 5400m of land and has 4 bedrooms in the main Villa, with a living area that looks out over exquisite countryside views. 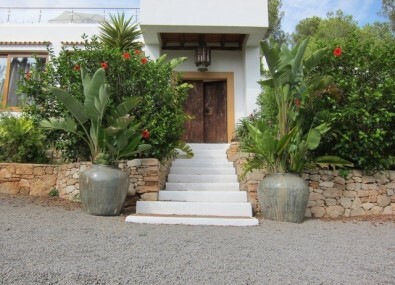 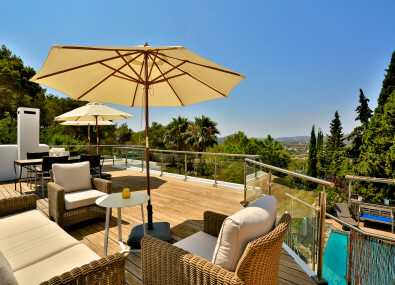 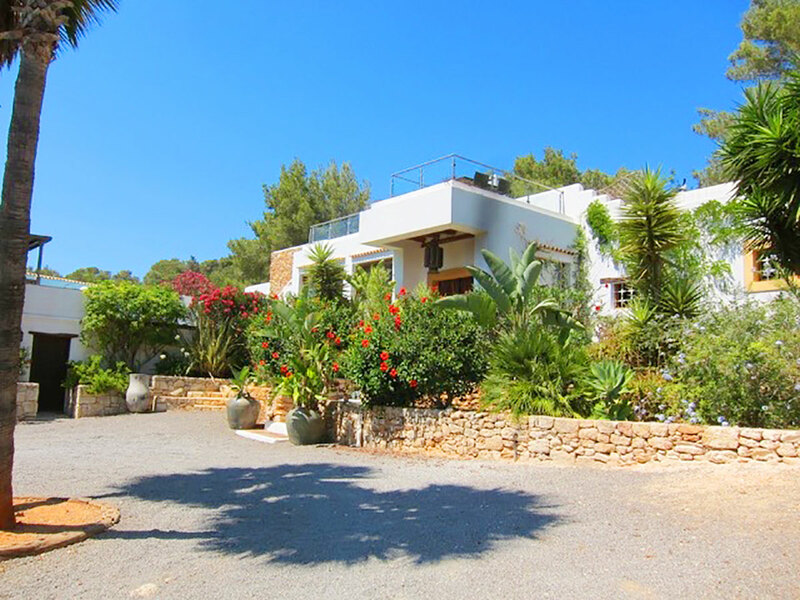 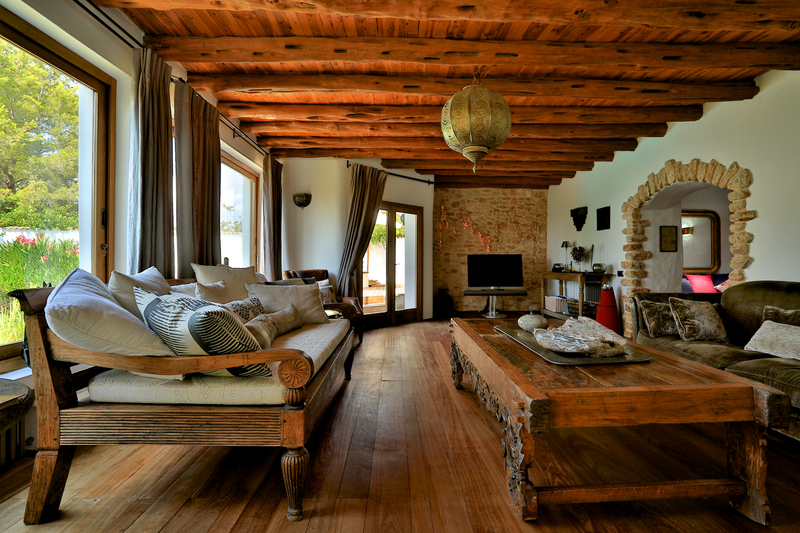 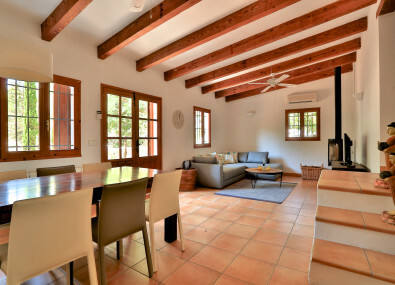 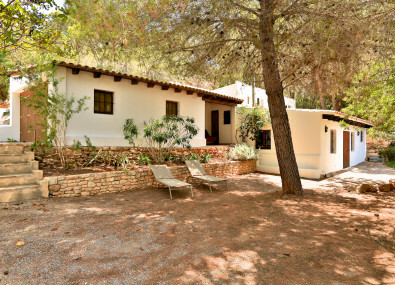 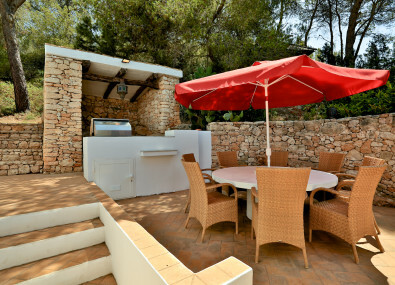 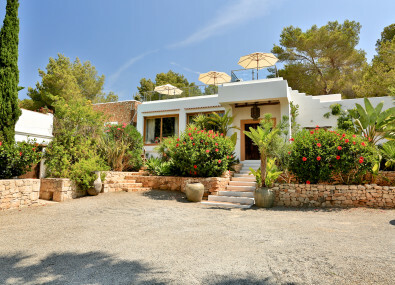 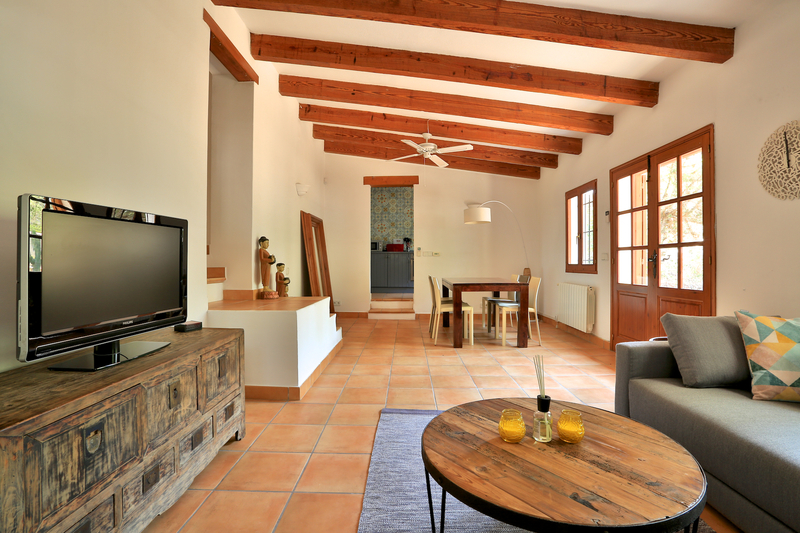 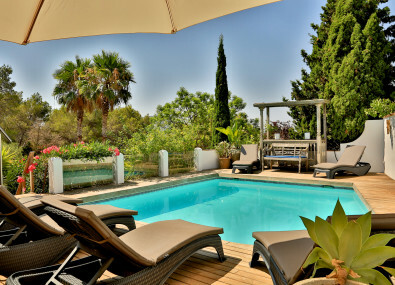 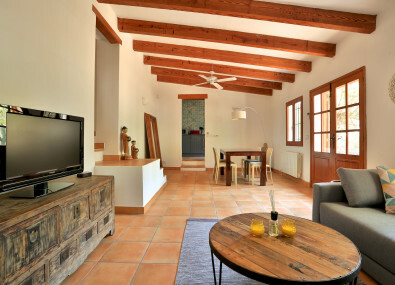 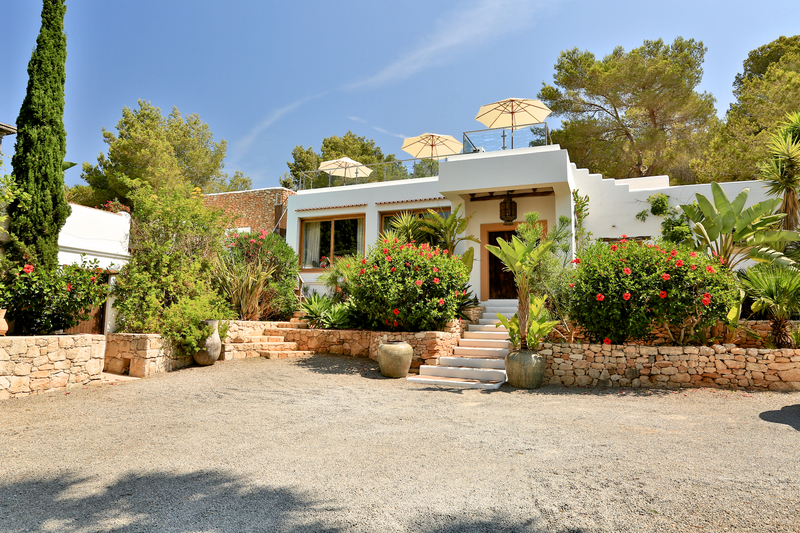 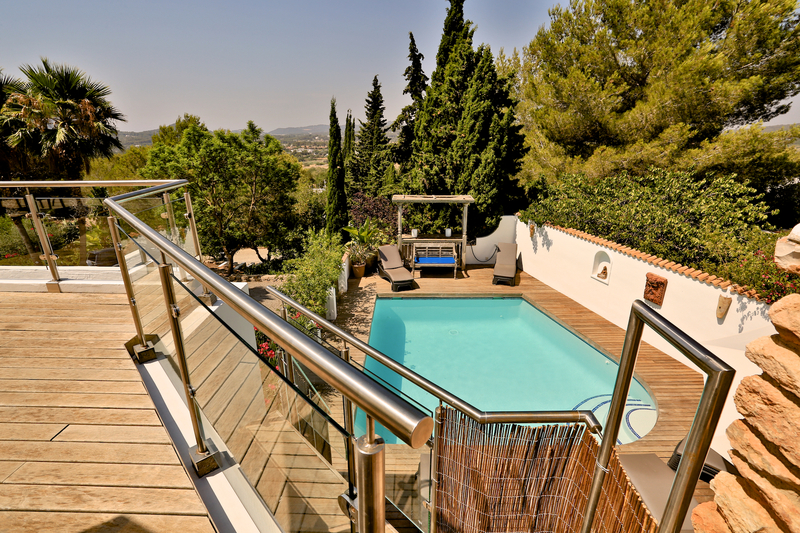 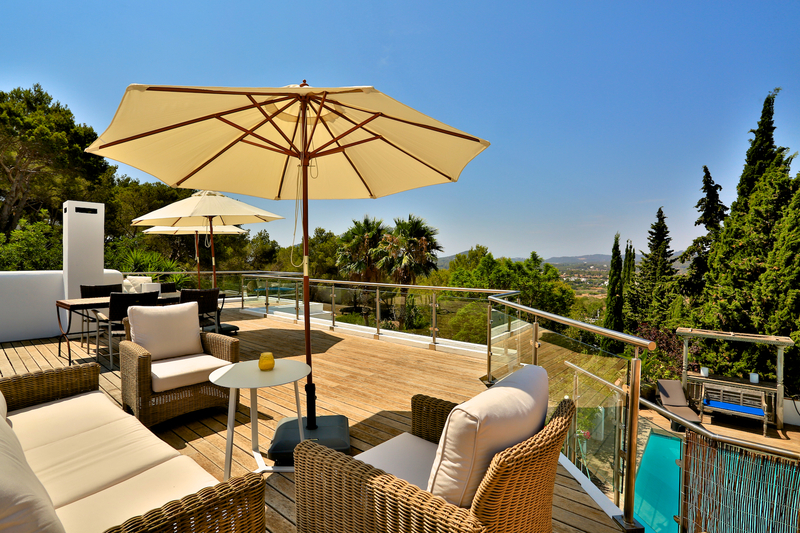 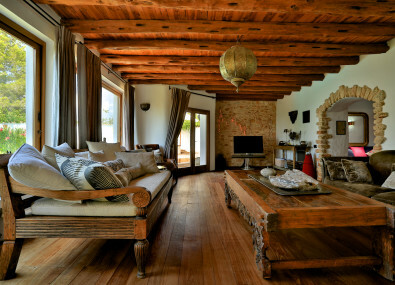 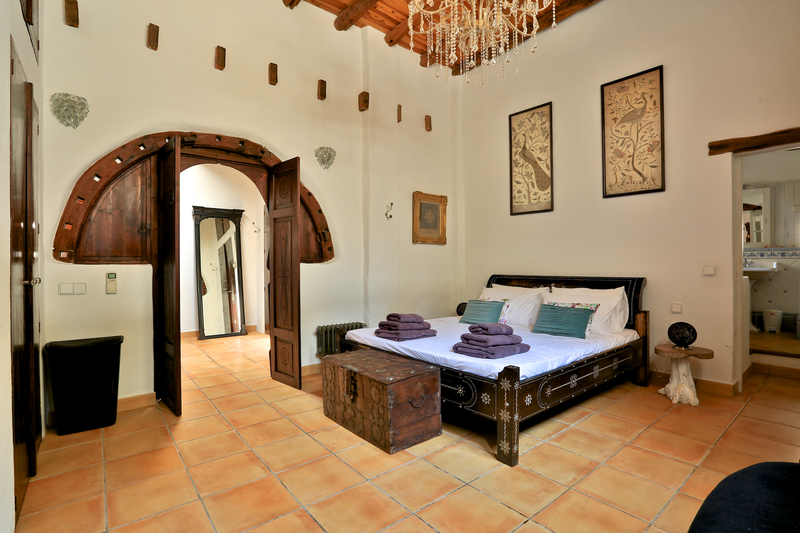 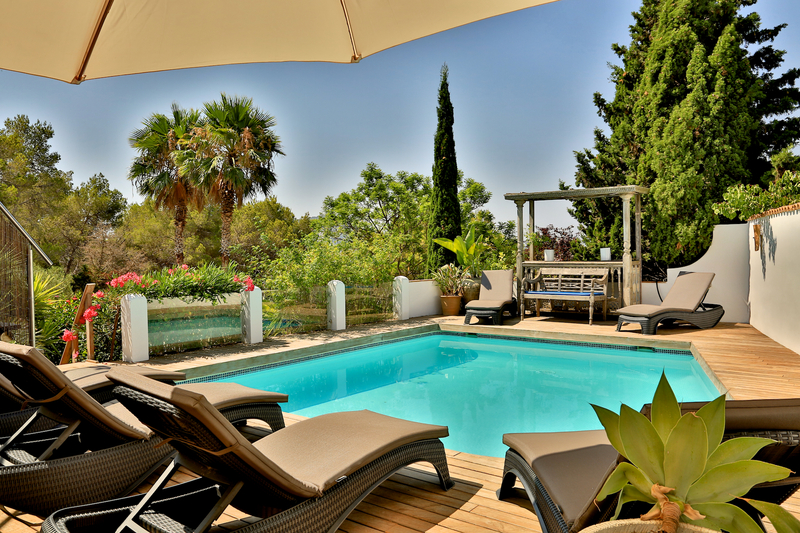 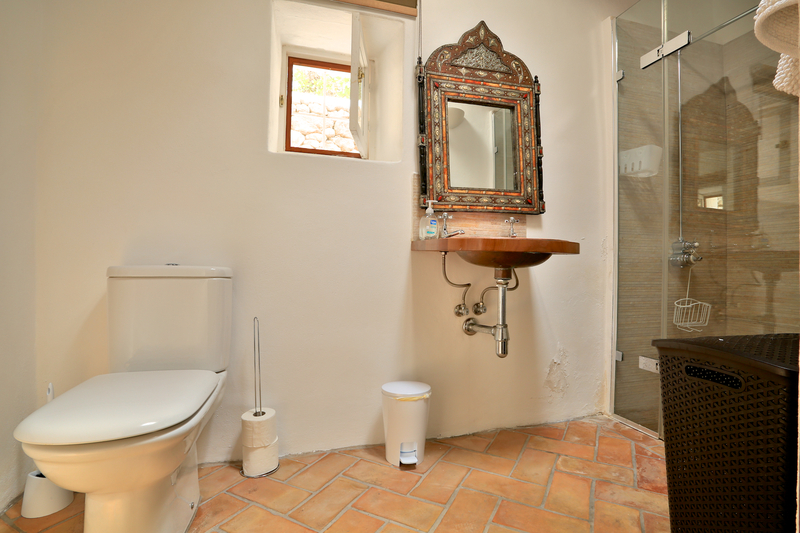 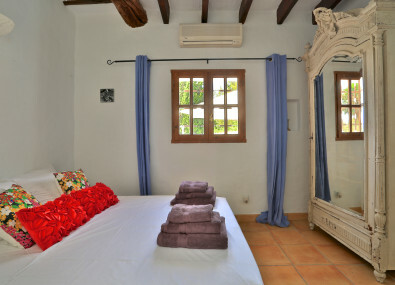 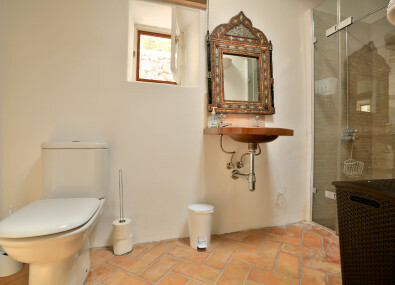 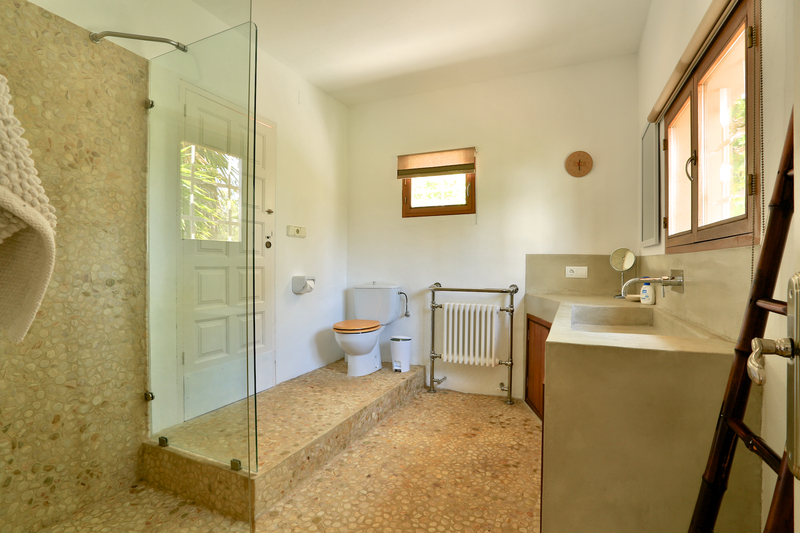 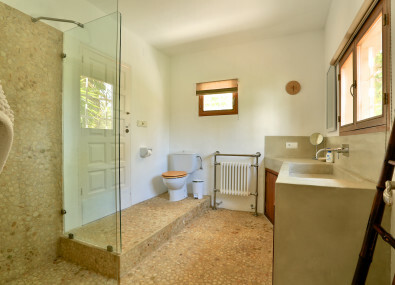 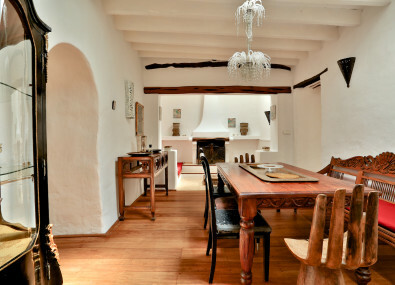 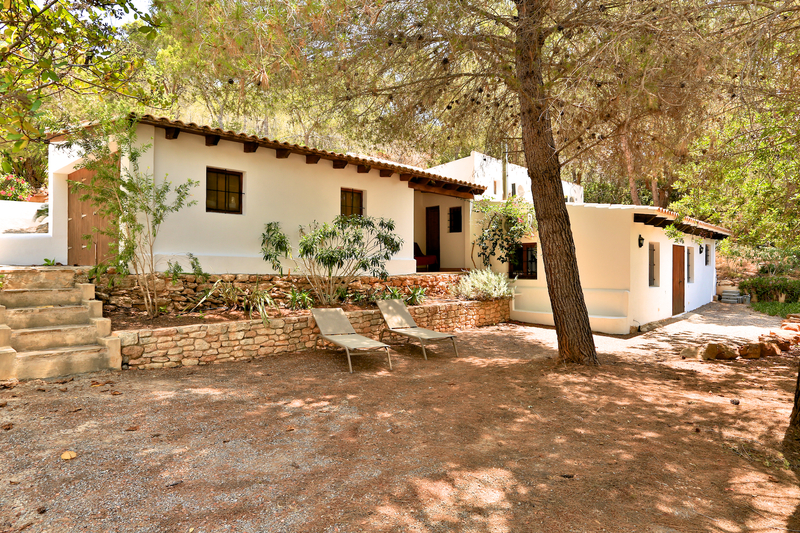 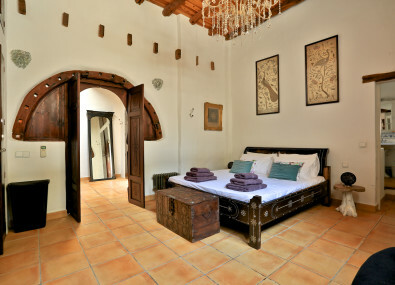 This wonderful Villa in Ibiza also features a totally self contained two bedroom casita. 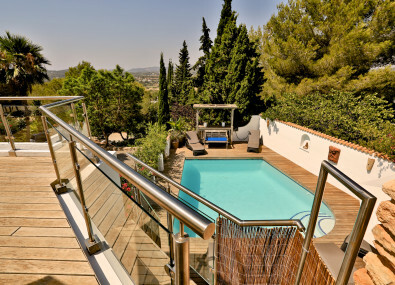 With its lovely decked pool and sun bed area leading directly from the living room, a roof terrace also with sun beds and chill out areas your sure to find the perfect place to sit, relax and soak up some stunning sun in this stunning Villa. 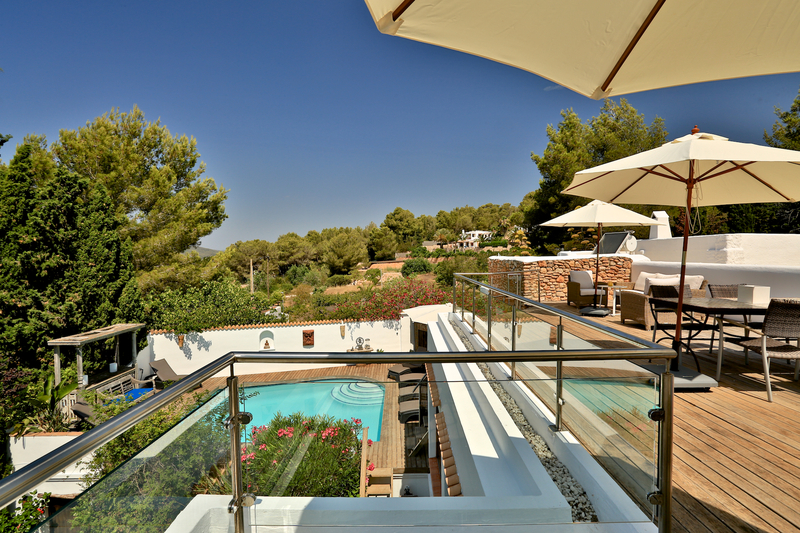 This is a perfect Holiday Villa with sumptuous decadent furnishings, featuring all the modern facilities you could ask for set in peaceful surroundings, yet close to all amenities that Santa Eulalia has to offer. 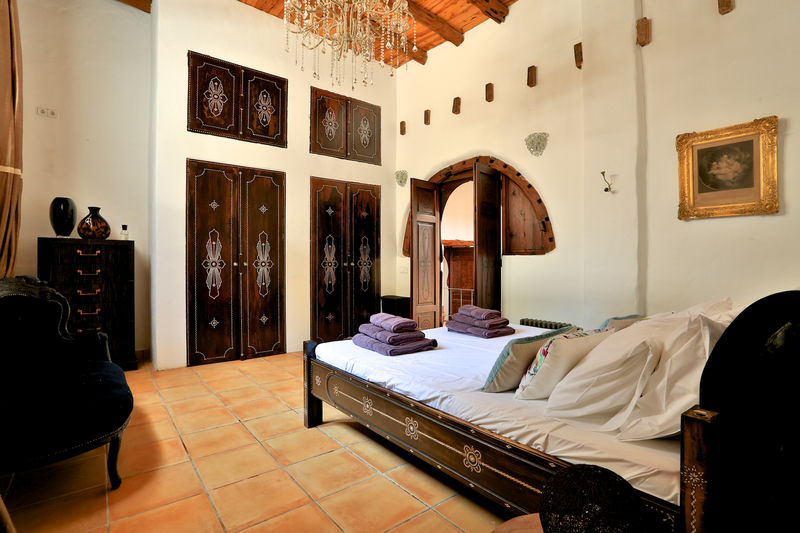 It has a real magical feel that makes people want to return again and again. 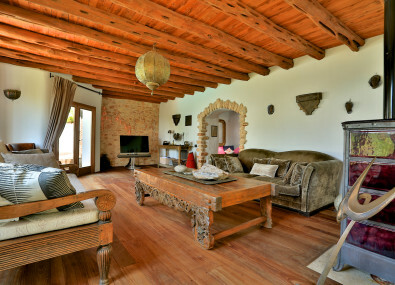 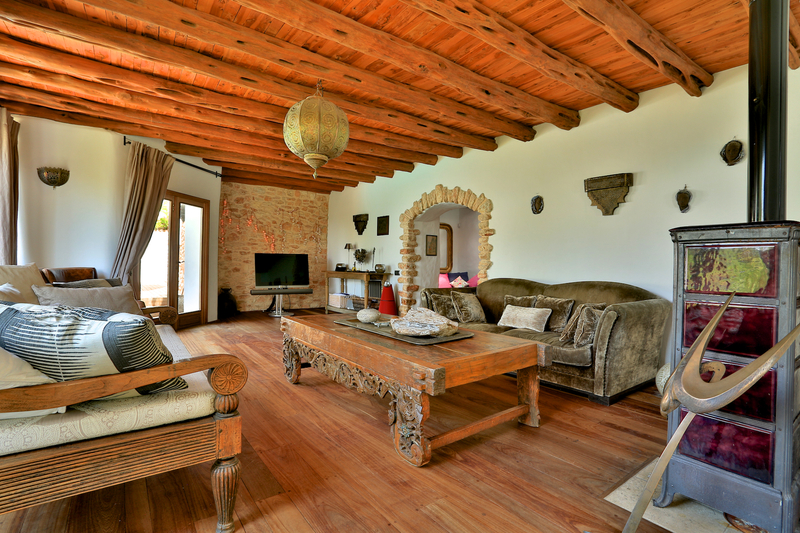 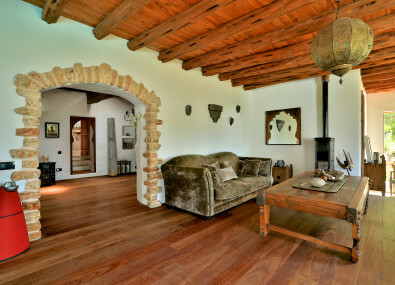 The Villa’s high ceilinged entrance leads to the stunning living area with its sofa, day bed, TV with satellite, surround sound system and steps taking you up into the quirky chill out area. 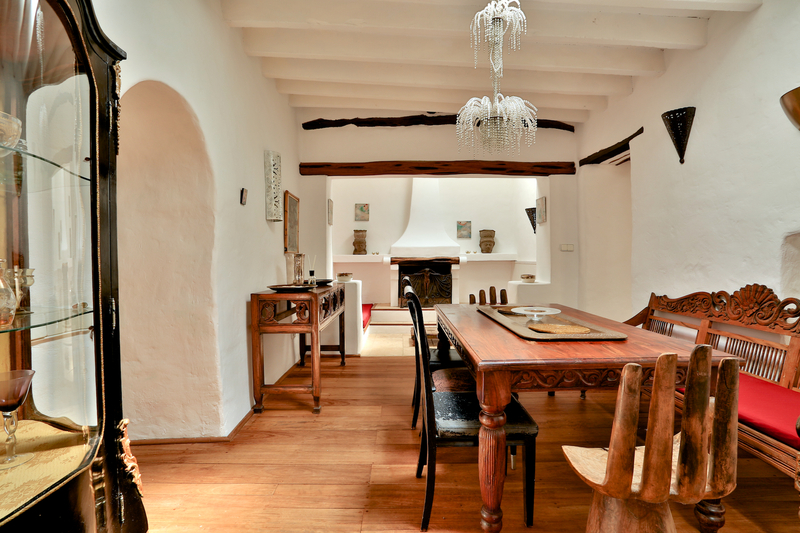 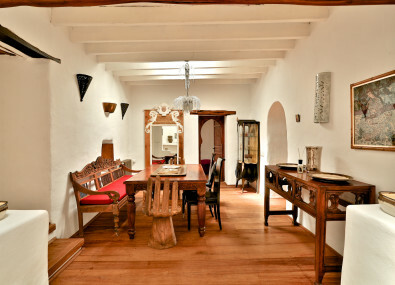 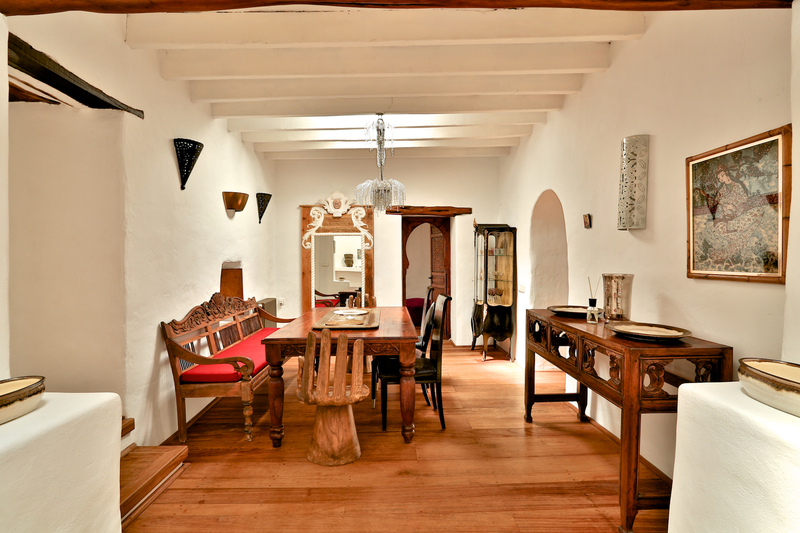 Dining room with table and chairs and another chill out area with floor level seating around a stunning fireplace. 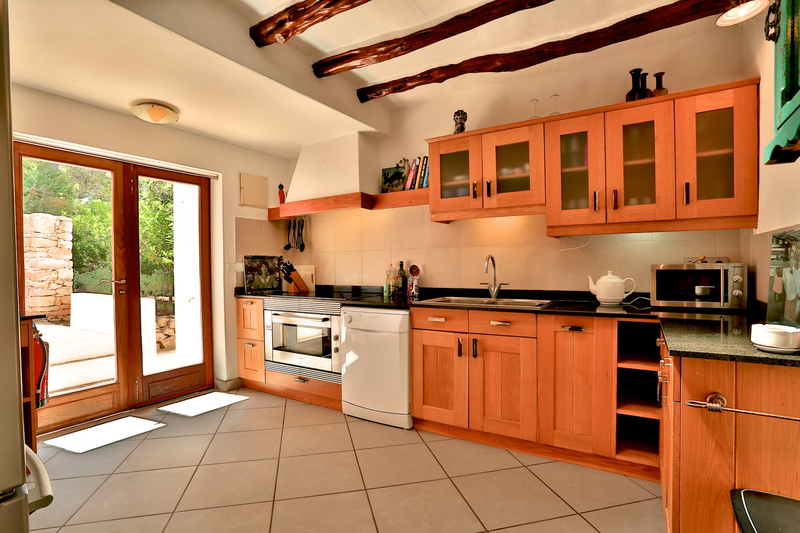 Fully fitted kitchen furnished with modern appliances, a separate utility room and pantry. 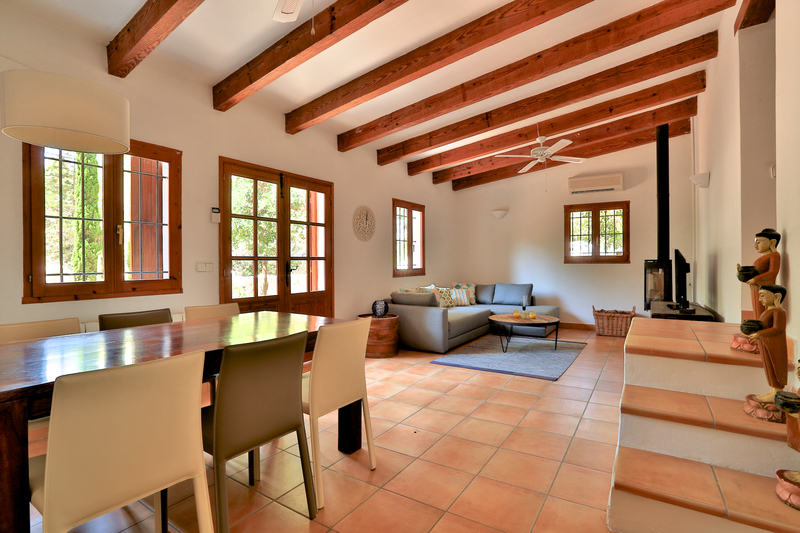 With doors stepping out to external dining and BBQ areas. 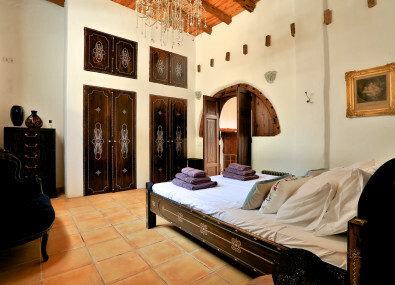 Bedrooms: Sumptuous Master bedroom with 4 Poster bed, en-suite bathroom with sunken bath and separate shower. 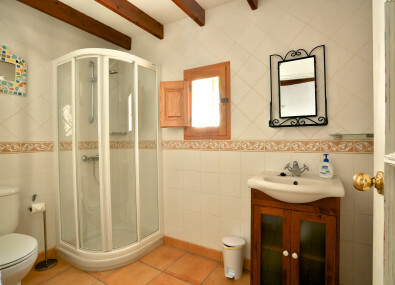 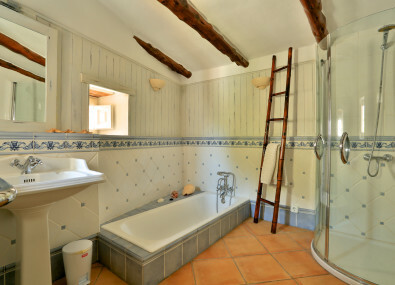 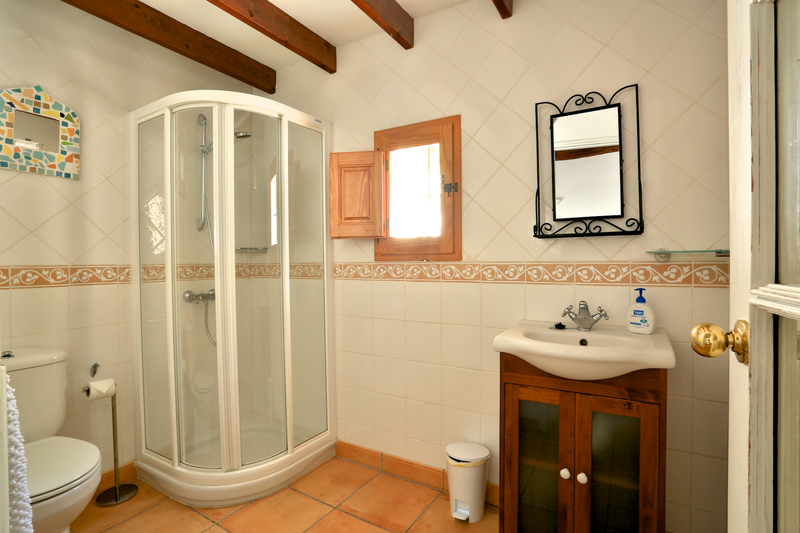 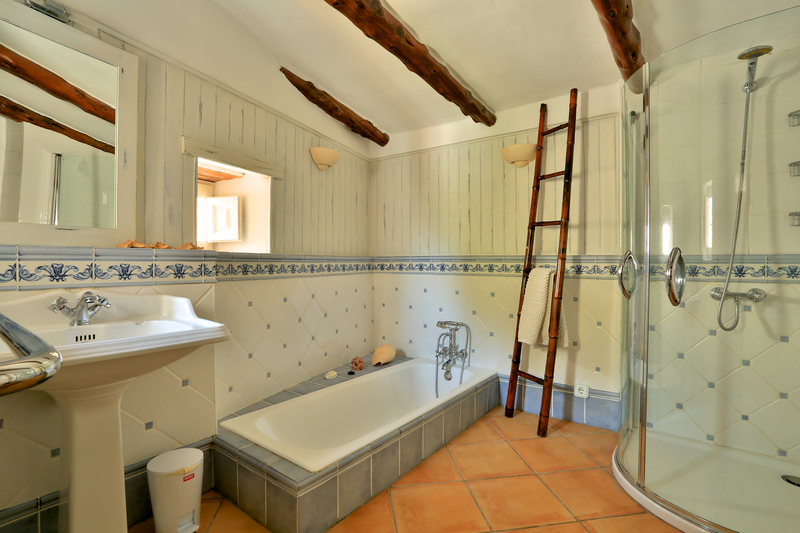 From separate chill-out room small steps lead to a Double bedroom with 4 poster bedroom with en-suite shower. 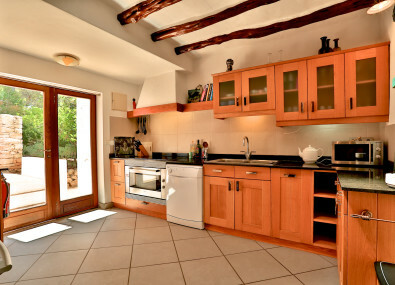 A Separate Guest house with 2 bedrooms, 2 bathrooms, living/dining room and kitchen. 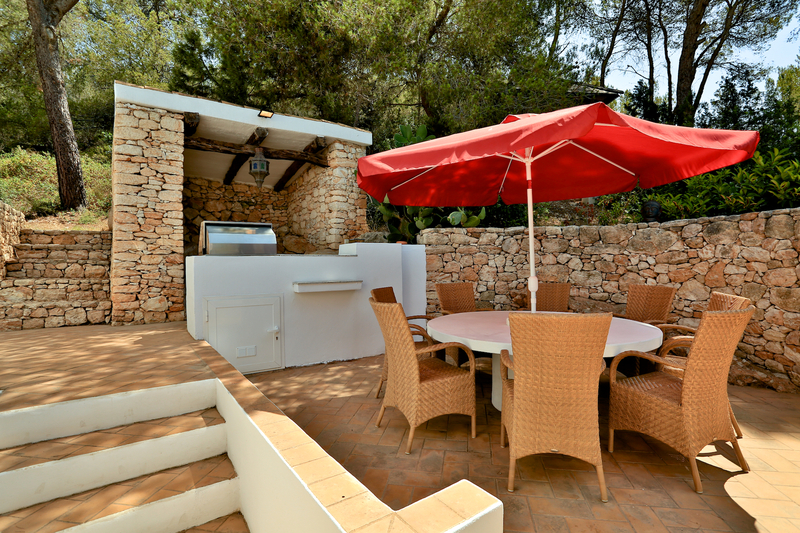 Outside dining area with Gas BBQ, relaxing areas for avoiding the midday sun, with a Balinese bed.